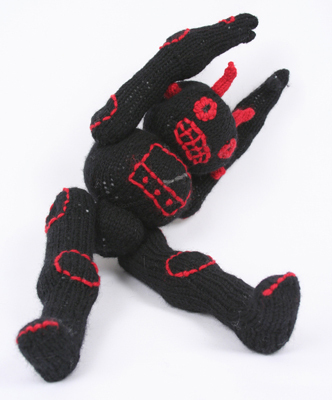 DevilBot 0110101 is an articulated devil robot that charms all that see it with a sock monkey appeal. Whack your friend in the head with it. It will make you both laugh. 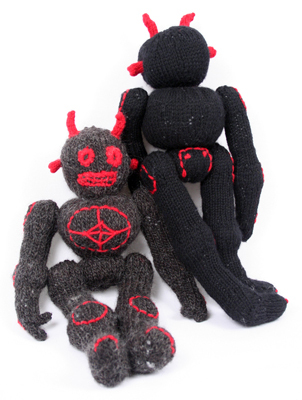 DevilBot is knitted in individual body sections. 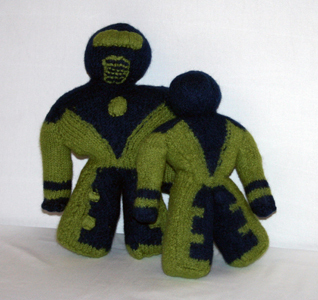 Stuff the sections as you knit with polyfil or your preferred stuffing. 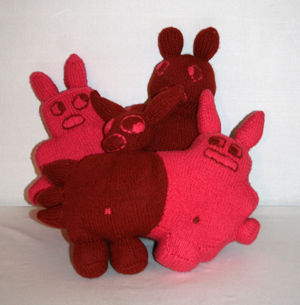 You will use the long tails to attach them all together at the end. 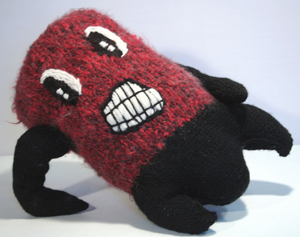 PillowBot pattern correction for patterns purchased prior to March 31, 2007.